Unless you are a saint or incredibly fortunate, you have likely come across difficult behavior in your classroom. And let’s be honest: sometimes students, especially those with special needs, can be challenging to deal with. Set the classroom tone by greeting each of your students warmly by name at the classroom door when they arrive. It’s much easier for students to accept correction when they know you care about them. As the saying goes, “Students don’t care how much you know until they know how much you care.” No matter how your day is going, give your students a big smile and act like you are excited to see them. Help your know they are special. 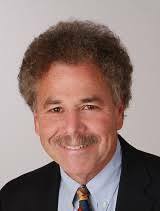 “That alone will unlock much of their potential,” says Appelstein. Use language and metaphors that give students hope. For example, “Things will be OK. You’re a train that just got a little off-track.You can get back on track again.” Talk about the future in positive terms. Focus on and emphasize each student’s positive qualities and what they have done right. Find out about each student’s interests and learn more about that interest, such as a rock band or game. Show excitement about it. If you are playing a game with a student, lose on purpose so the student can gain self-confidence. In another video, Appelstein stressed the importance of responding instead of reacting and not making consequences too harsh, but instead telling kids to take a short time-out until they can calm down. This is important because you want a high probability that the student will agree to the disciplinary measure, and also want the student to let you know when he or she is ready to return to the classroom, which might be sooner than you thought. Persuasive communication is also crucial. 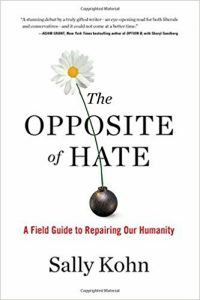 A useful communication strategy is recommended by author Sally Kohn in her book The Opposite of Hate: A Field Guide to Repairing Our Humanity. 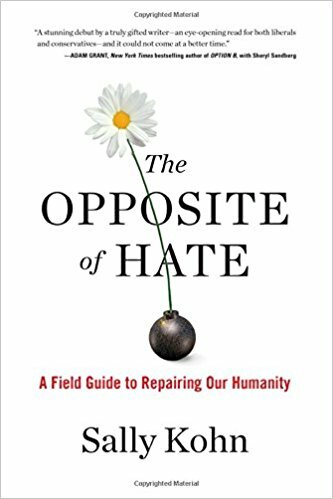 Kohn says the opposite of hate is not love, but connection. And building connection is important to avoid conflict, because when faced with conflict, the human brain is wired to take a “fight or flight” position. Convincing, or making your point. There are many interviews of Sally online — here is a short and sweet one on Comedy Central and a longer NPR radio interview. Tagged classroom management, communication, conversaition, persuasion. Bookmark the permalink.